NASHVILLE, TN — Councilwoman Karen Y. Johnson, who has represented District 29 in the Metropolitan Council since September 2011, has announced her candidacy for Davidson County Register of Deeds, the seat being vacated next year by Bill Garrett. A kickoff fundraiser will be held Monday, Sept. 18th from 5:00 to 7:00 pm at Cabana, 1910 Belcourt Ave., hosted by owners Randy Rayburn and Craig Clifft. The primary election is scheduled for May 1, 2018. 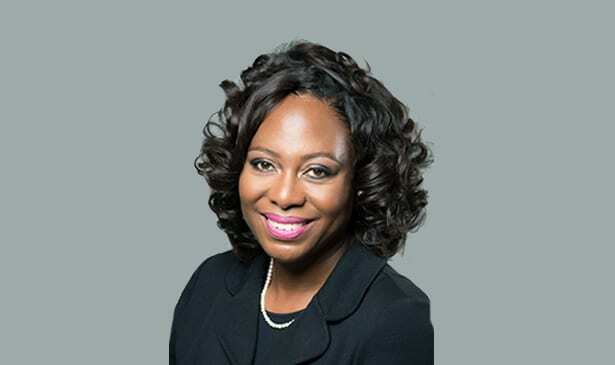 Councilwoman Johnson is a member of the Metropolitan Council’s Elections, Rules, Confirmations and Public Works committees and previously served on the Board of Metropolitan Parks and Recreation and the Board of Zoning Appeals. She was elected President Pro Tem of the Council in 2015 and currently serves on the board of directors for the National League of Cities as well as its Youth, Education and Families Council. Johnson’s three sons were educated in Metro Nashville Public Schools. Her first elected position was a four-year term on the Metropolitan Nashville Public School Board, where she served from 2006 to 2010. The following year, Johnson was elected to the District 29 Council seat, beating four other candidates with 52 percent of the vote. In 2015 she was re-elected to a second term with 82 percent of the vote – the largest margin of all contested races. Johnson has 23 years of professional experience in human resources and records management and holds a Master’s of Business Administration and Organizational Management from Trevecca Nazarene University and a bachelor’s degree in business administration from Tennessee State University. She is a graduate of Leadership Nashville and Middle Tennessee’s largest Real Estate School CLI and has been honored with the Nashville Chamber of Commerce’s Emerging Leaders Award and the Nashville Business Journal’s Women of Influence award. She was designated as one of The Tennessean’s “Forty Under 40” young leaders to watch. Johnson is a tireless community organizer in Southeast Nashville, spearheading efforts to add Cane Ridge High School and Smith Springs Elementary schools to relieve over-crowding at Antioch High School and Thomas Edison and Lakeview Elementary Schools. She founded the Southeast Egg Hunt & Festival, a popular and enduring community event that will celebrate its 15th year in spring 2018. She lives in Antioch with her husband David Johnson, a Mason and Marine. They have three sons and one beautiful grandchild. Attorney Charles “Chuck” Welch of Farris Bobango PLC will serve as campaign treasurer. Campaign advisors include attorney and former Nashville mayor Bill Purcell, attorney and veteran campaign strategist Robert Greene, retired attorney and well-known political organizer Alma Sanford and consultants John Little and Robert West. Media requests may be directed to Aerial Ellis or Alma Sanford. Previous articleWill the $1.2 Billion Airport Expansion Save Nashville?